Vessel and Solsvart is the upcoming Snuggly Books release written by Norwegian writer Berit Ellingsen. Snuggly in name and nature – the book is a quaint 104 pages of narrative poetry no bigger than a pocket notebook. But beware, the content is anything but snuggly. 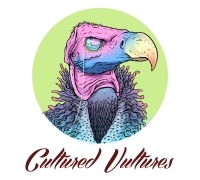 Featuring five short stories that explore the darker side of nature, through sometimes visceral language, and often reading more like a prose poem (assisted by the narrow format of the book’s columns), we are treated to beautifully told tales that dip into sci-fi, horror, mystery and magic. The light is the elegance of the text. Without context, I was led gently into the first of the five stories, the titular Vessel and Solsvart. I was introduced to two characters, but it’s only as the story unfolds that you learn about their relation to each other, and to the world. Vessel is described as having no lips, exposed teeth, and half a nose. He has a worm-eaten hand. He also has a friend, Solsvart, who I won’t reveal for spoiler reasons; and together they have a mission, outlined on the first page: “The sun is coming back… We must prevent it.” They leave their crocodile-nest swamp, where it seems they have been slumbering for a while, and head off. A road trip, then. I was enjoying the story and being shown rather than told, being asked to work things out for myself. On page 21, however, was a small passage of text which I will repeat below, which, as a writer, I really enjoyed. Some books you can enjoy for the story. Sometimes you’re enjoying something and you come to realise that you’re also enjoying the way the words are put together. I had this with Jeffrey Eugenides’ and Anthony Burgess’s work, and also Annie Proulx’s The Shipping News. All they are doing is walking along the shore, but the cadence of the sentences and the language imbue a real sense of breathing, of the heartbeat of the sea. There’s also a great sense of isolation, which is prevalent throughout the story. Every now and then Vessel and Solsvart provides you with the odd gem of language. Among the other stories is an Edgar Allen Poe-esque story called Among the Living and the Dead, set in an age of lords and manors with some unsuspecting victims. Blue Star, Singular Fire needs a couple of reads. Read with more context the second time round, things begin to come together, with Ellingsen laying down clues about the story from the very beginning which are hard to understand. On a second read I realised it wasn’t actually that hard to decipher, but it’s one you definitely need to concentrate on, as it deals with matters of the cosmos. Apotheosis is almost short enough to count as flash fiction, packing a horrific punch as the search for immortality is shown to perhaps not mean what we think it should mean. And the book ends with Summer Dusk, Winter Moon, another folktale-style story where a god-like being is made man to fight off a sinister threat that could destroy more than just the harvest, but humankind itself. 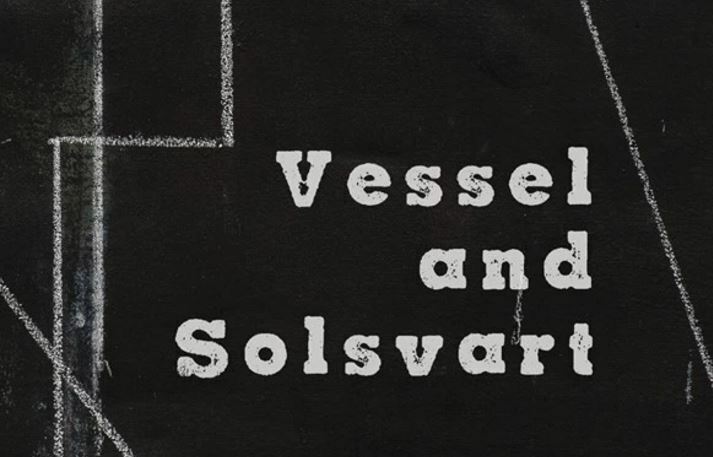 Vessel and Solsvart is an accomplished collection sure to engage you as a reader. Its diminutive size positively encourages you to curl up around it and get lost in the fantasy of it all. If you want something a little different, I highly recommend it. It could also be a gateway book into Ellingsen’s longer works, as you may be encouraged, like I, to check out her novels.